When asked in our interview with Farias, he said this about Clownman: “The first character I ever created for Wicked was “ClownMan”, and he is one of my favorites. 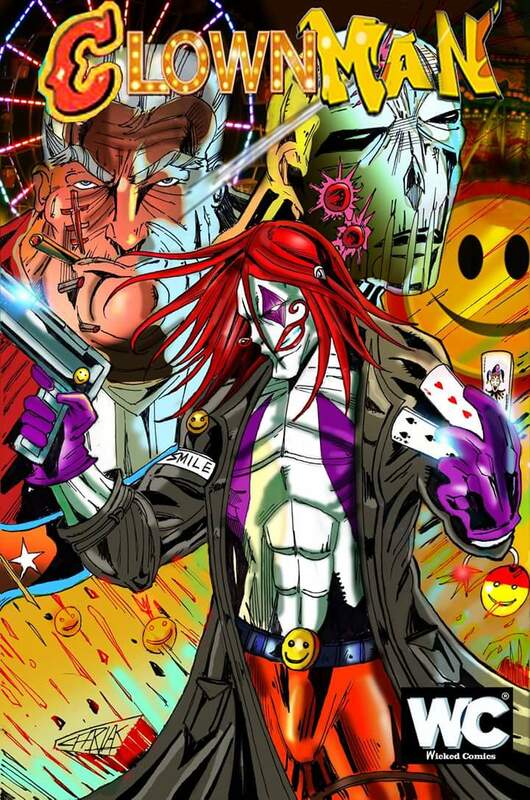 This character is what put Wicked on the map and started people getting hyped for the upcoming title and besides, who doesnt want to see a clown taking out some villains!?. His story is a rather dark one. It tells a story of a circus performer called Chris Mason. 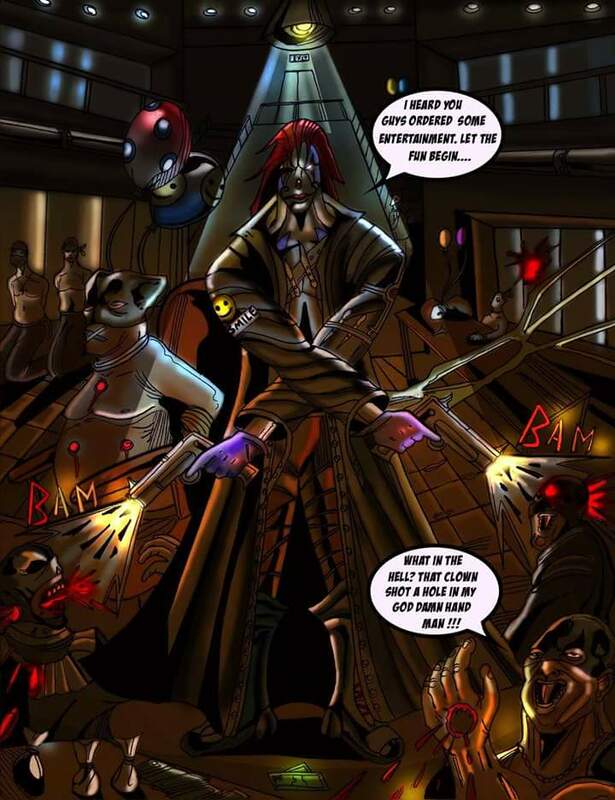 He is a victim of a rather gruesome and unspeakable crime and as a result picks up powers and through the story he is able to develop these powers he has been given and use them to protect the citizens of Dark city. Dark City is the location of where this story takes place . It is a cursed city with a growing epidemic of crime, corruption, prostitution and drugs plaguing the city.